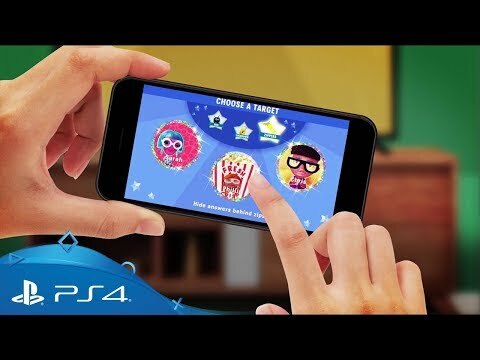 Put your pop culture knowledge to the test in this high-energy quiz game from the PlayLink for PS4 range. Get the edge on your opponents with brand new Power Plays which let you lock your foes’ screens, zip up their answers, and more. And with four new touch screen challenges, you have the chance to mix things up in a time-based score attack mode. Stun your opponents with spheres that explode if your rival accidently touches one while trying to tap on an answer. Slam your target with a ball of ice, forcing them to shatter it before they can click on any answers. If two or more of you use a Power Play on one person, their effects will stack on the unlucky contestant - the above traps will be added to any of the other effects, including scattering a player’s answers, covering their screen with gloop or sending a bug to scramble their answers. Don't forget – you’ll need to download the Knowledge is Power: Decades companion app to your mobile device to start playing the game on your PS4. You can get the app from the online app stores below. Download Knowledge is Power: Decades on PS4.